A company like Nintendo faces lawsuits with some regularity. The complexities of the US patent system leave plenty of room for legitimate inventors and patent trolls alike to file infringement suits against whomever they wish. 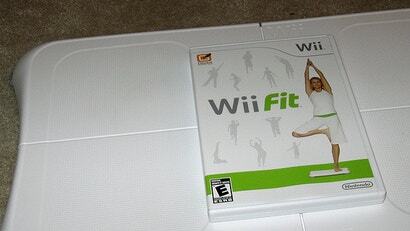 In 2010, IA Labs LLC, a company based in Potomac, Maryland, filed suit against Nintendo over the Wii Fit Balance Board technology, claiming Nintendo had infringed on patents 7,121,982 and 7,331,226, held by IA. The company claimed "irreparable harm" by Nintendo's alleged "continued infringement". This week, however, a judge for the US District Court of Maryland summarily dismissed the lawsuit, declining to send it to a jury trial. The dismissal marks the third consecutive US patent lawsuit in which Nintendo has prevailed. Nintendo of America General Counsel Rick Flamm said, in a statement, "Nintendo has a passionate tradition of developing innovative products while respecting the intellectual property rights of others. We vigorously defend patent lawsuits when we firmly believe that we have not infringed another party's patent. We refuse to succumb to patent trolls." For those who are interested in the full (complex) legal process, a Maryland IP law focused site has described some of the details.